Religious station Premier Christian Radio has confirmed there will be a transitional period on DAB digital radio, allowing listeners time to move across to their new frequency. The station will become part of the new line-up of services on the new Digital 2 / Sound Digital multiplex, which is due to go live at the end of February. Until 4th April 2016, the station will be simulcast on both its existing Digital 1 slot and its new Sound Digital slot. In a multiplex variation request to Ofcom, Digital 1 said that Premier's owners had "been keen for the station to continue to broadcast on both multiplexes for a short period to assist its listeners make the transition to the second national multiplex", confirming that the the simulcast will end on 4th April. 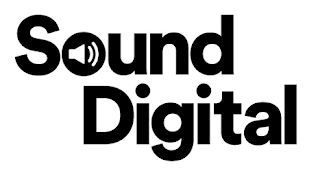 With the new Sound Digital slot due to reach fewer listeners, because of its smaller coverage area, it's also been confirmed that Premier's owners are implementing a "communications strategy", which will help affected listeners "migrate their listening to other digital platforms with broader geographical reach than Sound Digital." The station is, for example, available to around 90% of the UK population on Freeview channel 725. In other DAB news, it's been confirmed that Heart Extra will have a mono slot on Digital 1, with 80kbps of bandwidth allocated to it. In many parts of the UK, the main Heart station will continue to be available in stereo via DAB. I am praying and trusting that we will be able to continue to listen to Premier Christian Radio in our part of East Yorkshire after its move from D1 to D2. The station together with the other stations on D2 is going to broadcast, as far as I understand it, from 45 transmitters sites including Belmont, Bilsdale, Emley Moor and High Hunsley transmitters. The old Yorkshire regional multiplex was not, according to the DAB reception website, able to cover our part of the Yorkshire coast but our reception was at a 80-90% signal strength as some signals came from transmitters in the same or similar geographical sites namely Belmont, Bilsdale, Cave Wold & Emley Moor transmitters. I therefore await the start of the official test transmissions next week on 2016-02-15. I have put my post code into the getdigitalradio.com website, as I did when the old Yorkshire regional multiplex was broadcasting, in neither case did it show either the multiplex. Therefore I am awaiting the test transmissions for D2.